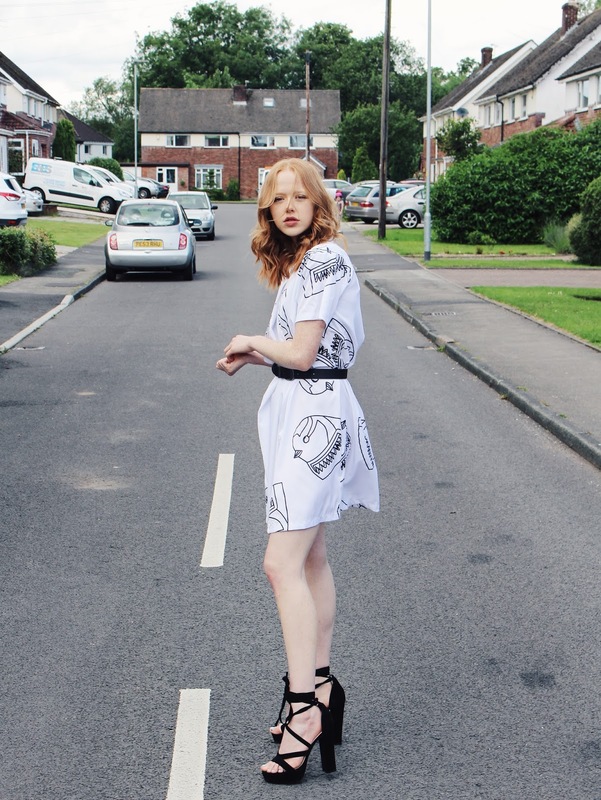 Oh I do love a quirky print and as you can see, I'm wearing one right here! This fab dress is by a super cool brand called ZIZTAR. It was created by two lovely ladies, Mabel and Zuice, and they kindly offered to send me a piece to style. Here I've styled one their fab dresses along with my Zara leather jacket, my black ASOS belt, my Zara bag and my Public Desire Stella heels! I really wanted to go for a monochromatic look and a kind of 'biker-chic' feel, to contrast the unusual dress. I added a belt to my waist to give a more fitted feel to the look and thought the bag helped to create a bit of texture. Overall, I was pretty happy with this look and I really enjoyed styling the dress! If you want to check out ZIZTAR and some of their amazing pieces then you can do so by clicking HERE. And, I highly recommend you do, because they have some super cool looks. Let me know in the comments if you see anything that you like or if you see something that you think I should style up next! This dress looks so gorgeous paired with the jacket.